InFocus is all set to launch its Aadhaar-Enabled Iris smartphone. “Based on the testing results done by STQC, InFocus Smartphone has emerged as the most reliable and accurate biometric device with virtually zero error as FRR (false reject rate),” said the company. The smartphone can capture the iris image under various environments, including under direct sunlight. It features IriTech’s superior iris image quality assessment and on-board K7 generation algorithm to provide good quality images and avoid false positives while maximizing true positive identification rates. The embedded algorithm can complete an image capture and K7 image generation in less than 2 seconds. Moreover, the biometric data from the InFocus device gets encrypted by a UIDAI key at the chip level in device, making it impossible for anyone but the Aadhaar server to see the information. 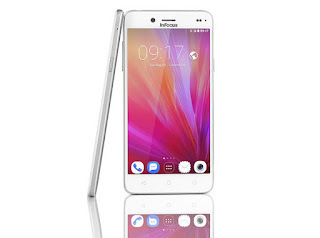 This smartphone will be a variant of the Bingo 20 that was launched earlier this year.InFocus smartphone with Iris scanner will feature a 4.5-inch display powered by a 1.5GHz quad-core processor with 1.5GB RAM and 8GB of internal storage, expandable memory up to 64GB with microSD It has a Iris Camera, Dual SIM runs on Android 5.1 (Lollipop). Connectivity options include 4G VoLTE, WiFi 802.11 b/g/n, Bluetooth 4.1, GPS Packed by a 2,300mAh battery. Commenting on the new smartphone, Sachin Thapar, Country Head, InFocus India, said:We see great potential in the integration of Iris recognition technology in a ubiquitous device like smartphone. This represents a huge leap in stimulating the Government’s Digital India Initiative facilitating the biometric identification used across various institute and E-governance services, with just the use of a smartphone. InFocus device will find its use as a secure and reliable biometric solution in various industries such as banking, E-PDS (Electronic Public Distribution System), MNREGA (Mahatma Gandhi National Rural employment Guarantee Act) payments, E-governance services such as passport, taxation, healthcare and education. The solution will also enable government, enterprises and telecom companies to streamline the process of an individual’s authentication and eKYC regardless of language and literacy barriers. Moreover, InFocus smartphone is an easy-to-use one stop device as it embeds the advanced iris-recognition technology in a well-built phone, eliminating the use of any separate devices for biometric identification. Nandan Nilekani, Former Chairman of UIDAI, said: The InFocus Aadhaar-enabled iris smartphone is a great example of the innovation possible on the Aadhaar platform. The phone is timely as it can be used for applications like opening instant bank accounts with eKYC and as a cashless microATM for merchant payments. This will accelerate JAM implementation.